During the summer season we are encouraged to embrace light and bright colours for our walls and soft furnishings and this year coral, pale plum and peppermint hue seem to be the go-to colours. 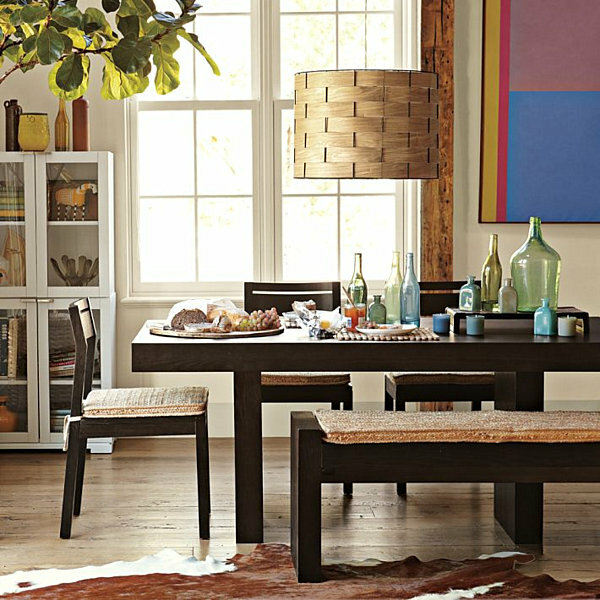 But with such vibrant walls, what does this mean for our dining furniture? Here at Style Our Home we want to let you into a little style secret and that is… white & wood, a perfect and elegant combination. Make a summer statement by teaming on trend shades with contemporary and geometric dining furniture in white and wood. We have picked a couple of Vincent Sheppard pieces we believe will help you embrace seasonal changes around your dining area whilst providing you with some handy style tips along the way. The Joe Oak Dining Chair from Vincent Sheppard is a fabulous piece to work around due to its sleek modern design. Inspired by the classic Lloyd Loom tub chair this dining chair is perfect for adding a modern twist to any styled home this summer. This contemporary shaped dining chair will create a real focal point to your dining area during your summer buffets. 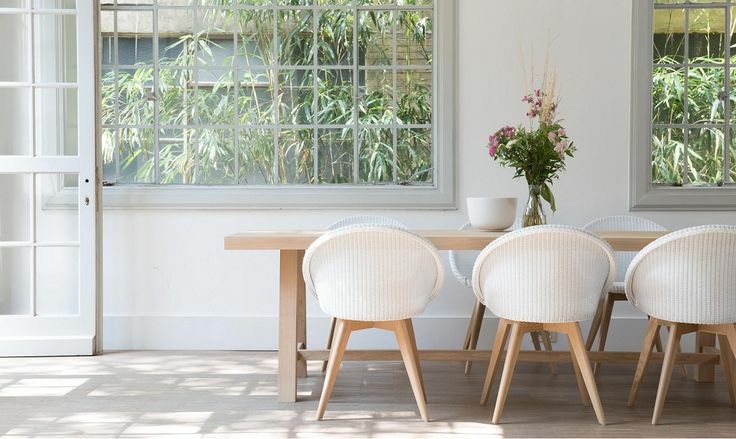 The Joe Oak Dining Chair is available in a choice of colours but we love the simple white with wood which would look fabulous when complemented with surrounding bold colours. One of our favourite things about Summer is that everyone gets into outdoor entertaining, we dust off the pitcher jugs ready for Pimms and bring out the white platters for Summer salads. When it comes to serving your food, try serving it on large platters. Even picking up platters from different countries you visit works great as there are so many cities that have brilliant ceramics for sale in local markets. 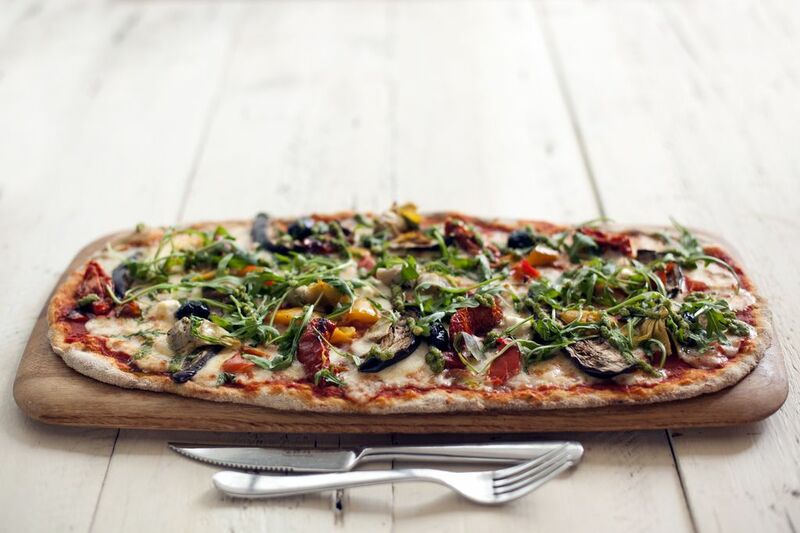 If you are feeling a little more daring this summer, you could also serve your seasonal snacks on wooden boards - bread boards and cheese boards are always appealing and make snacks even more tempting and appetising! If you are looking for something slightly more unique in shape, then the Lily Dining Chair presents a beautiful design. Inspired again by Lloyd Loom, this chair has been created to add a touch of sophistication to any Summer dining area. The soft woven texture is complemented by the subtle soft curves to the shape of this chair to produce an elegant timeless look. With the stunning Vincent Sheppard chairs, you will need a dining center-piece that is equally as stunning and for a look that’s clearly fabulous, here’s a handy top tip from us at Style Our Home, group a number of transparent glass vases and fill them with tropical leaves and other interesting stalks. 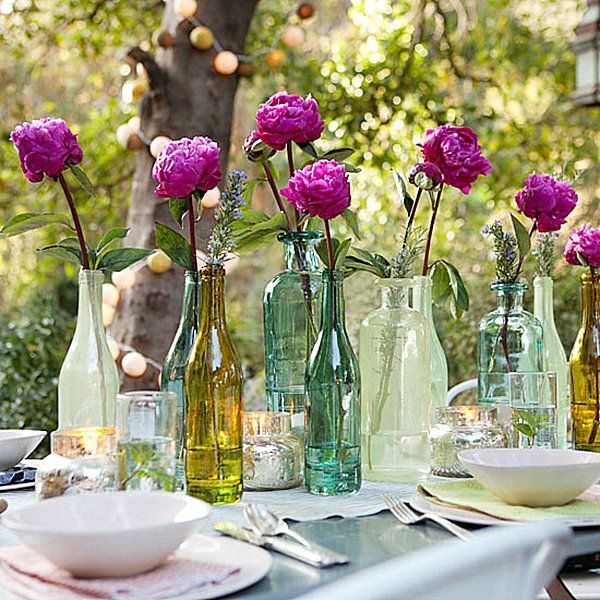 Fresh flowers at the table always add a pretty touch to any meal. Place wild flowers or freshly-picked blooms from your garden in an old glass jam jar or honey pots for a simple, rustic look. And you could even go one step further… who needs flowers when the bottles are so lovely? Modern glassware in shades of blue and green create a multi-layered spread. And finally for a more traditional look, the stunning Becket White Side Chair, a contemporary Lloyd Loom style chair finished in a vanilla white colour with a driftwood Mindy Ash frame. The great thing about Lloyd Loom chairs is that they age beautifully due to the weave being made from Kraft paper and woven around a steel wire, the weave has been in existence since 1917 and is strong and durable. And for all those sticky fingers this summer, you'll be pleased to know that they are also really easy to clean just use a moist towel. The best thing about the Vincent Sheppard chairs is that the weave is very smooth and therefore does not scratch or snag clothing. Whether you’re entertaining a few friends or hosting a full family gathering, we hope our stylish Summer furniture and dining tips help you create the perfect party vibe. “The fondest memories are made when gathered around the table.”- Unknown.